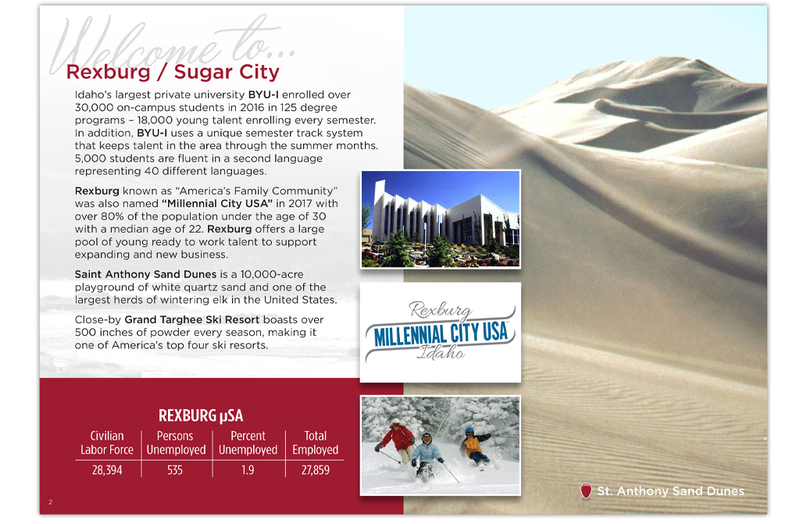 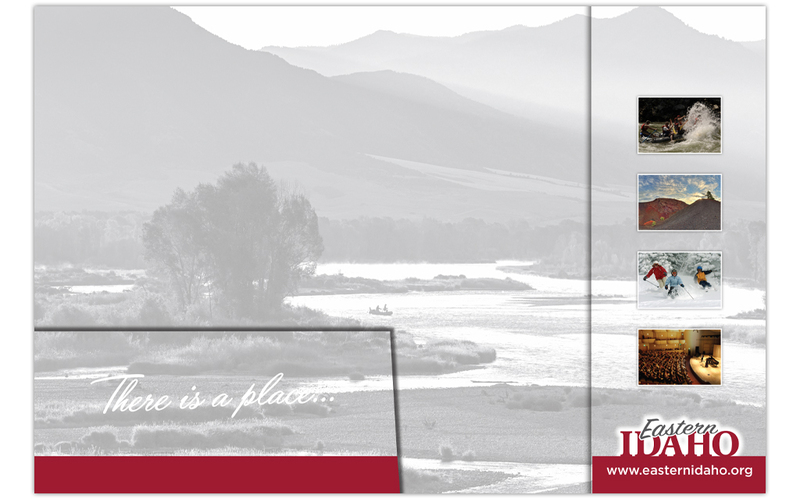 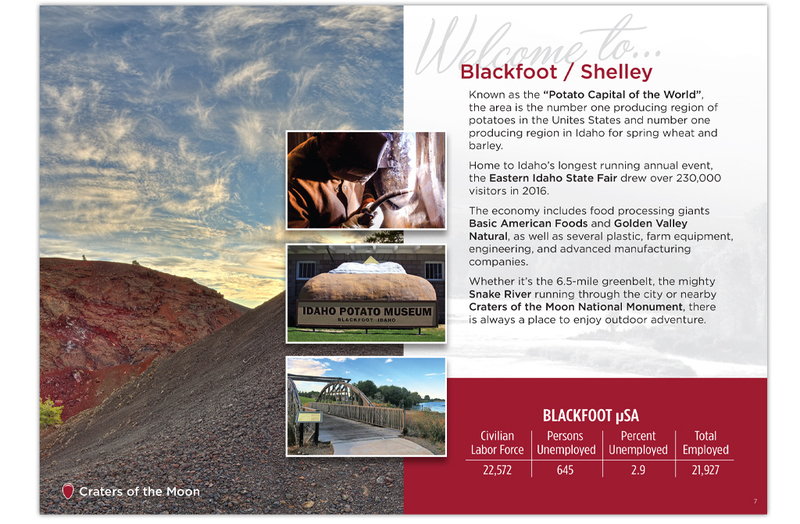 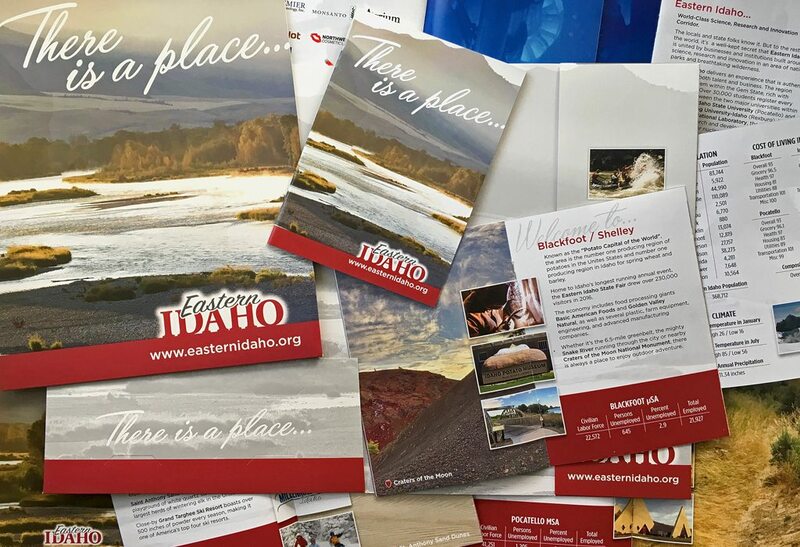 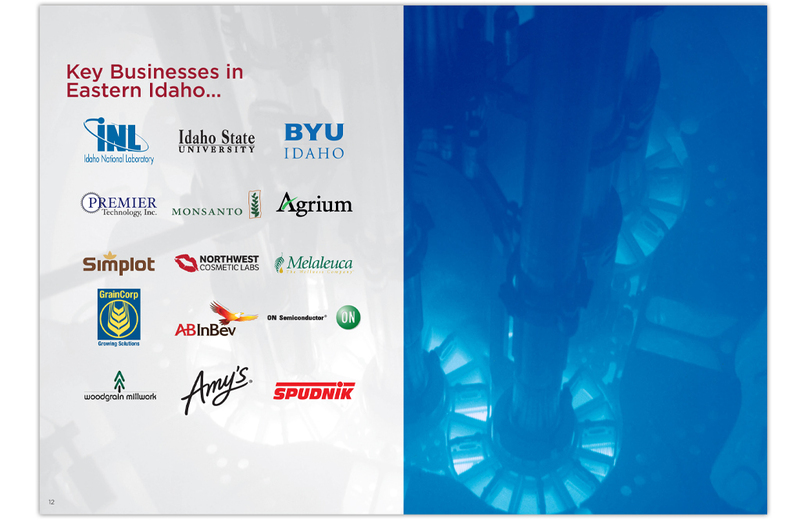 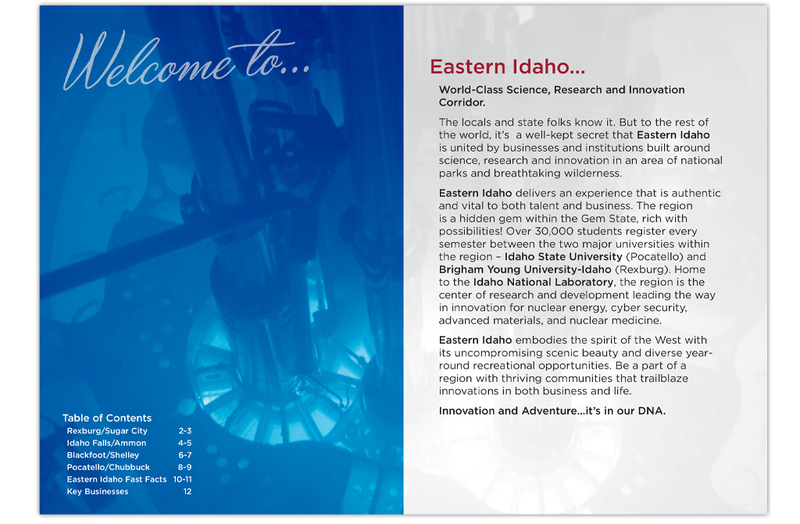 Working with our partner agency, MSVM Group, we designed and printed this presentation folder and 16-page booklet for Eastern Idaho, to be used as a promotional tool for business expansion, relocation, and employment opportunities during the Select USA tradeshow. 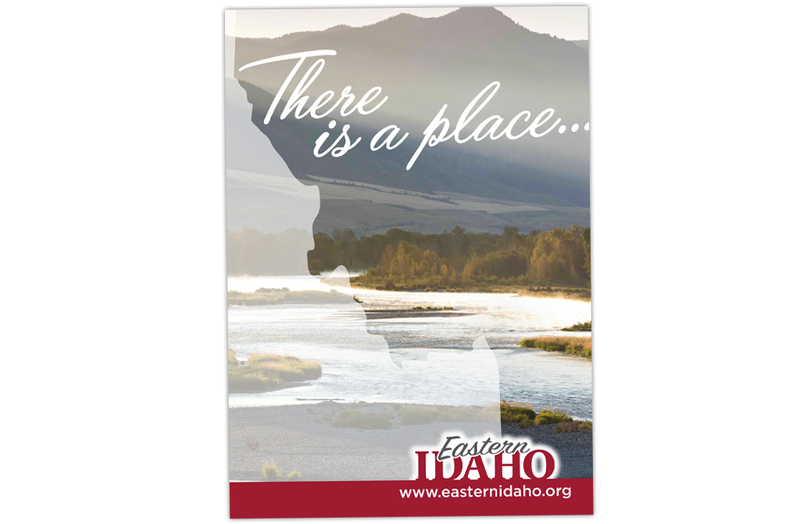 A simple message, welcome to Eastern Idaho, and welcome to the regions of Eastern Idaho, and all they have to offer, quality of life, recreation, and technology. 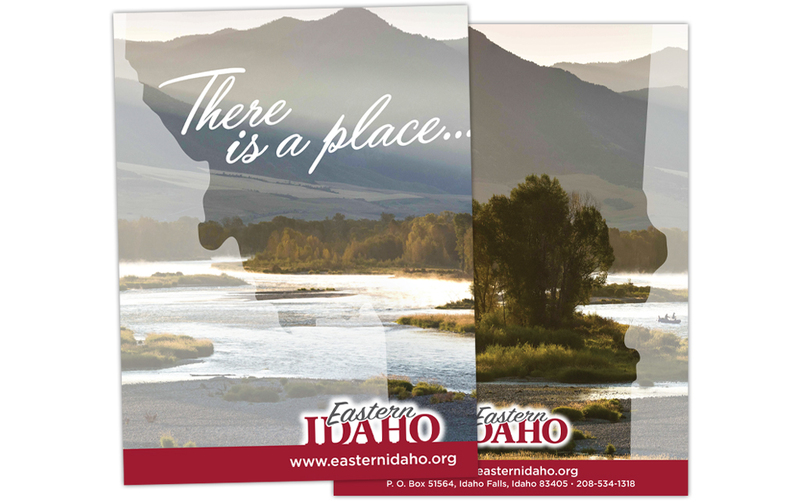 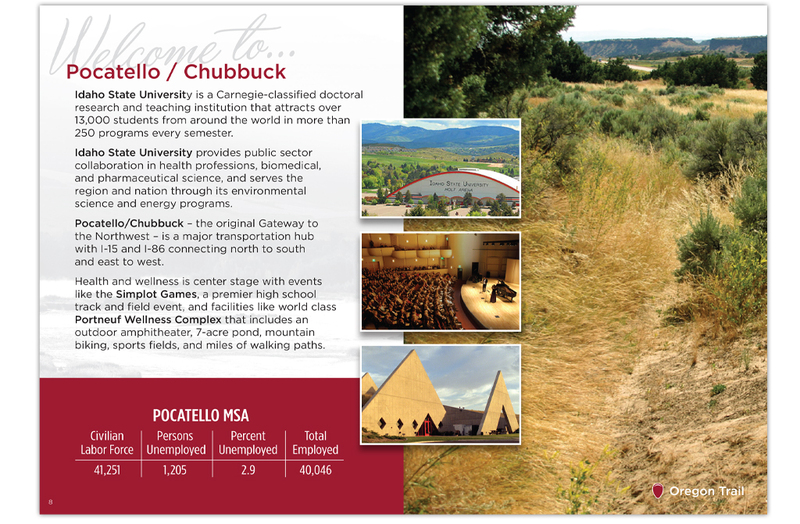 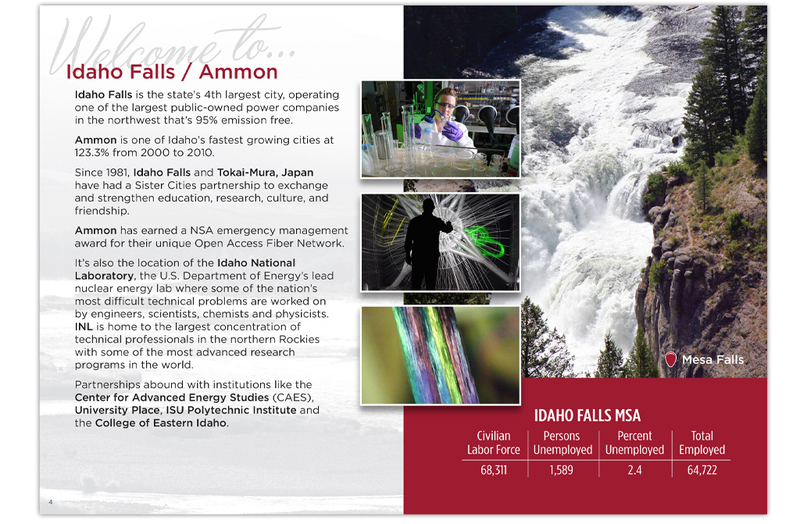 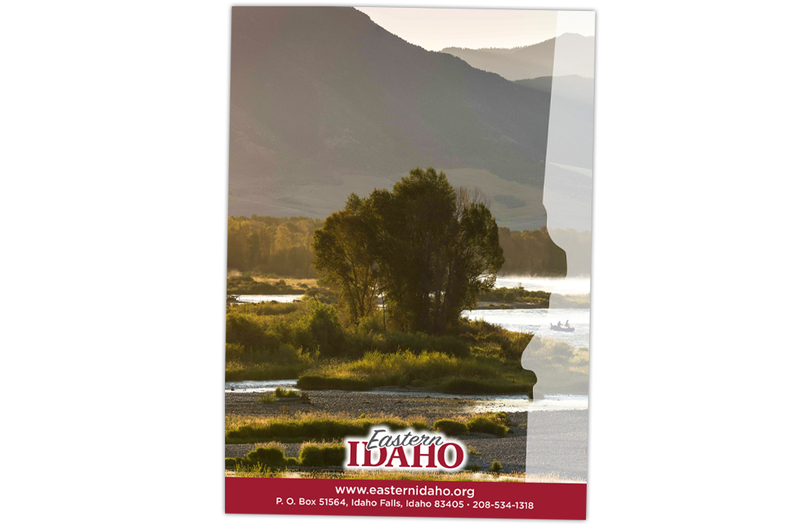 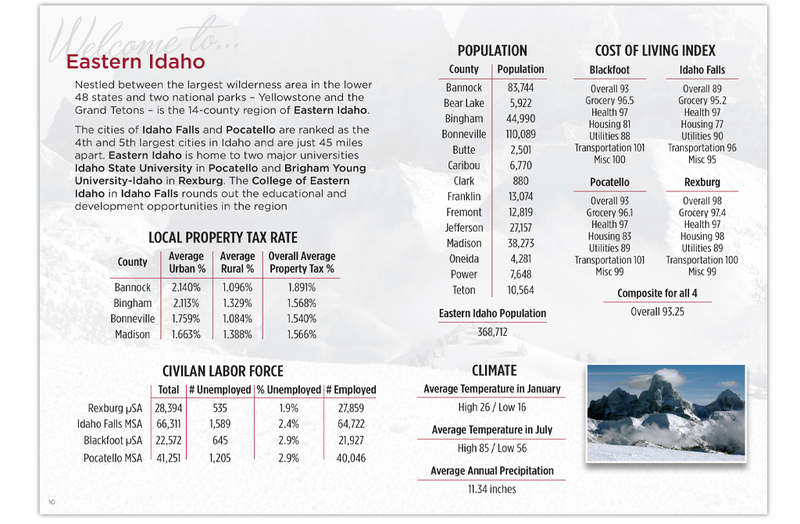 The finished product was a 4+1 print process, custom sized and cut, and included a transparent spot varnish of the state of Idaho strategically placed to focus on Eastern Idaho.